A few months ago, in part one, I wrote about the importance of a strong relationship with your financial partner to increase the likelihood that an acquisition is completed in a timely fashion. In this article, I’ll expand the conversation and focus on the dealership’s real estate, and how it can affect the buy-sell process. If the seller is also financing the dealership’s real estate with the captive, when the dealer is no longer a dealer, the captive will have zero interest in financing the real estate and will likely demand repayment at closing. This is something I’ve seen quite a few sellers wrestle with over the years, and they experienced delays in getting their buy-sell agreements completed. As an alternative to the captive, a dealer can also finance the real estate with a bank. 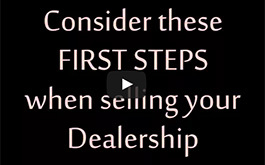 Many large banks also will require a dealership do its floor plan financing there, as well. They are not accustomed to making stand-alone loans on automotive real estate because of the single-purpose nature of the property, and limits regulators place on such loans. For banks that are in the relationship business (i.e., banking, floor-plan and real estate financing), there are a few other things to consider if the dealership is sold and the dealer wants to retain the real estate. Once the operating entity is sold, the real estate loan classification is changed from owner-occupied to an investment real estate loan. And like residential real estate loans, the underwriting approach for investment real estate is different than it is for owner-occupied loans. The main difference is what drives the maximum loan amount. For owner-occupied loans, dealers tend to think of a lender’s advance rate (typically 70-80% depending on location) in determining whether a loan makes sense or not. For investment property loans, the loan amount advance rate is often determined by the rental income the property generates, versus the property’s value, with rent being the principal source of mortgage repayment. For owner-occupied loans, the real estate owner, who is also the owner of the dealership operating entity, can set the rent at whatever amount is desired since there is common ownership between the two entities. As such, if the rent is sufficient to cover the proposed mortgage payment and the dealership continues to be profitable, the limit on the loan amount is usually whatever maximum advance rate the lender allows, whether the lender is a bank or a captive finance company. For investment property loans, this isn’t the case. Rents are usually based on market capitalization rates, so it’s unusual to have real estate loans on investment properties that exceed a 60% advance rate, particularly in the current interest rate environment. Additionally, the lender doesn’t have access to the tenant’s financial capability to support the loan as it would if the property was owner-occupied. Yet another reason why investment real estate loans have lower real estate advance rates than owner-occupied loans. In this article, I’ve provided an overview of a few more items that should be considered to ensure the successful completion of an automotive buy-sell agreement and important reasons why it’s advantageous to involve your financial partner as early as possible. US Bank, established in 1863, is one of the oldest banks in the country and has served dealerships for 75 continuous years. 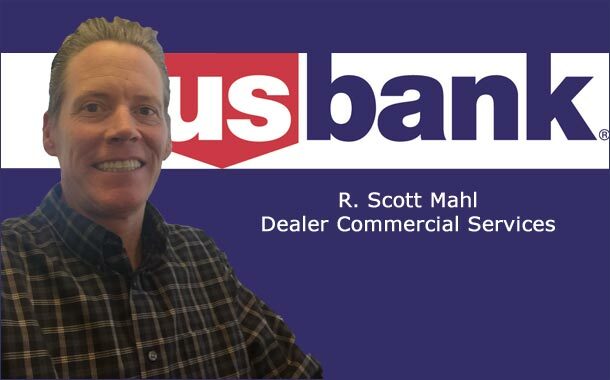 Scott Mahl is Business Line Leader – Dealer Commercial Services. He can be reached at 1-949-863-2441 or rscott.mahl@usbank.com.